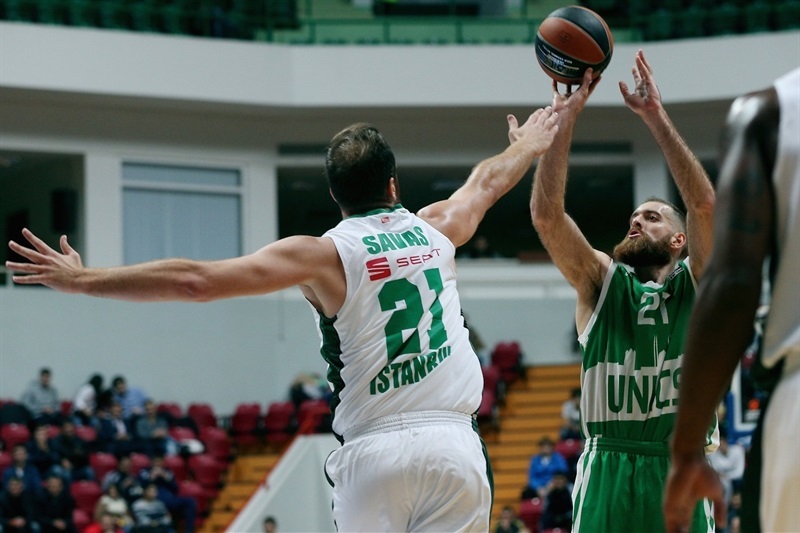 Darussafaka Dogus Istanbul grabbed its second road win in this year's Turkish Airlines EuroLeague by downing Unics Kazan 87-94 on Tuesday. 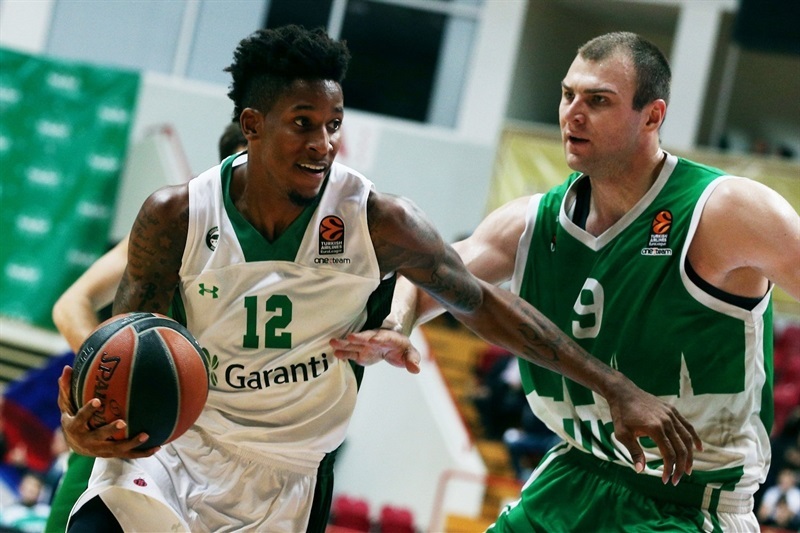 Darussafaka improved to 2-1 while Unics dropped to 3-0. 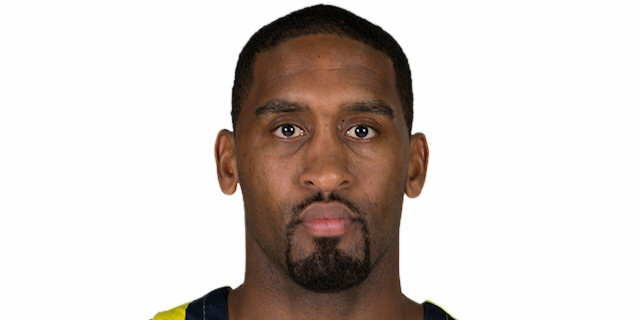 Bradley Wanamaker led the winners with 22 points. James Anderson added 18, Scottie Wilbekin had 13, Birkan Batuk got 12 on 4-for-4 three-point shooting while Oguz Savas contributed 10 on 5-of-5 two-point shots for Darussafaka. 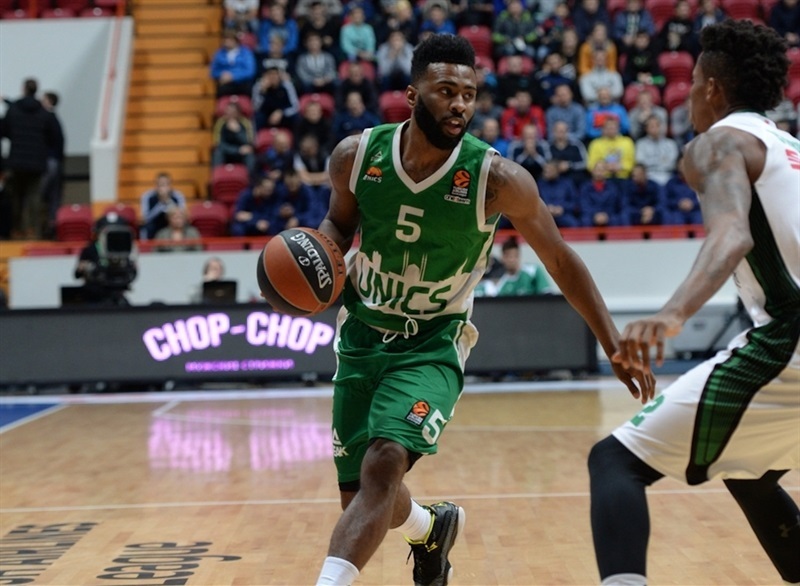 Keith Langford led Unics with 22 points. 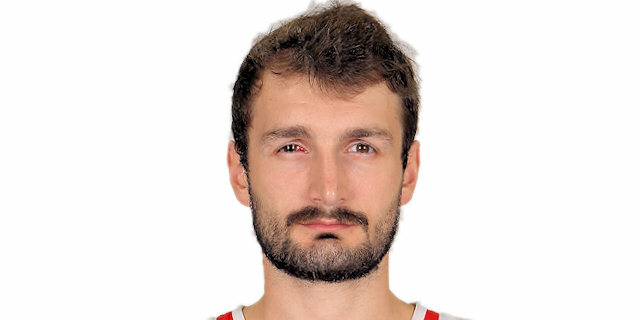 Art Parakhouski added 17 points, 7 rebounds and 4 blocks, Quino Colom and Anton Ponkrashov each had 16 points, while Kostas Kaimakoglou got 11 for the hosts. Parakhouski, Langford and Ponkrashov combined for all the points in a 12-0 run to start the game. Wanamaker and Savas stepped up for Darussafaka, helping it tie the game, 28-28, late in the first quarter. 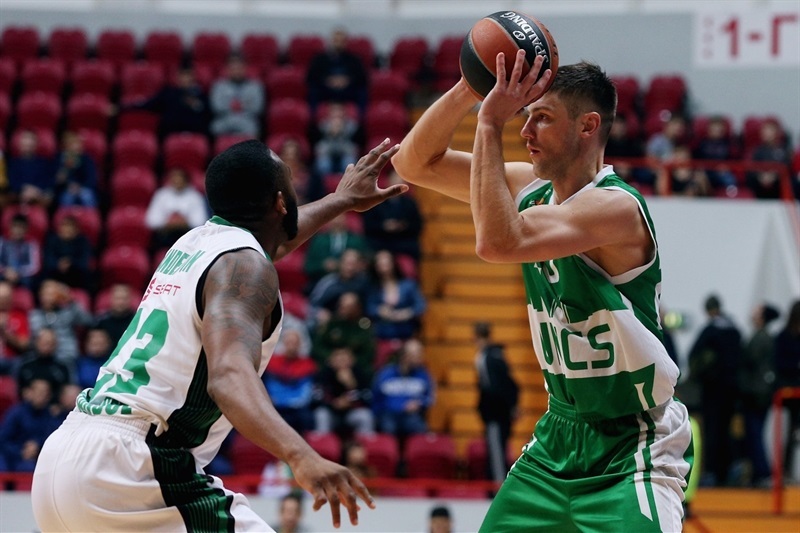 Langford kept pacing Unics and got plenty of help from Parakhouski to let Unics regain the lead, 47-46, at halftime. Anderson took over after the break and free throws by Wilbekin gave Darussafaka a 59-65 lead after 30 minutes. 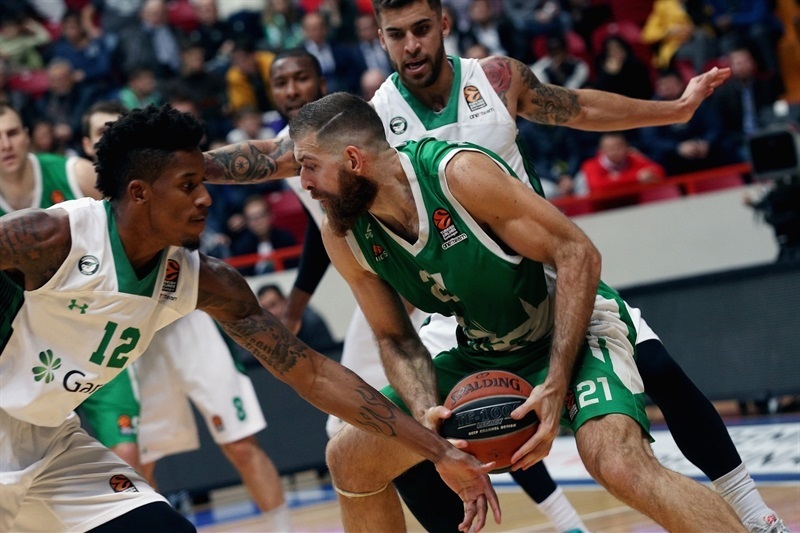 Batuk struck twice from downtown and Wilbekin hit another one early in the fourth quarter, as Darussafaka boosted its margin to 63-78 and never looked back. 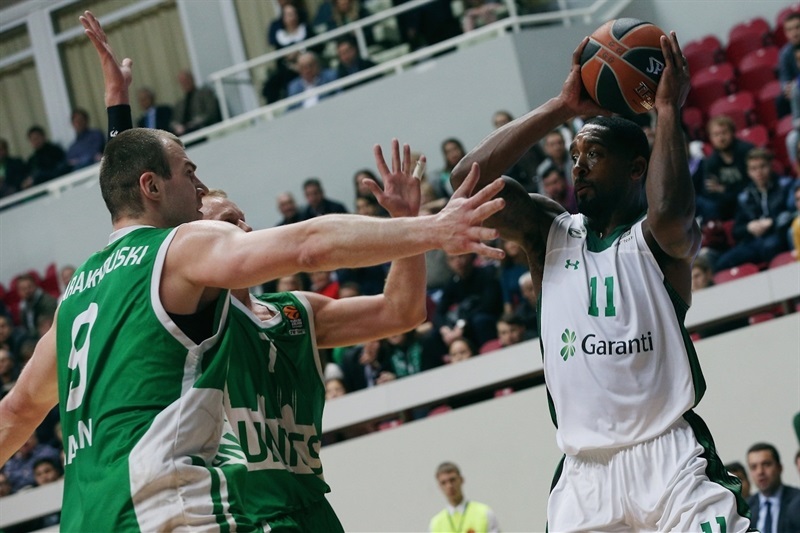 Darussafaka won despite a 34-19 disadvantage in rebounds. goes back home to face Anadolu Efes Istanbul on Thursday, when Unics visits reigning Turkish Airlines EuroLeague champion CSKA Moscow. Parakhouski had a couple of layup-plus-fouls and Ponkrashov struck from downtown in a 12-0 opening run which Langford capped with a driving layup. 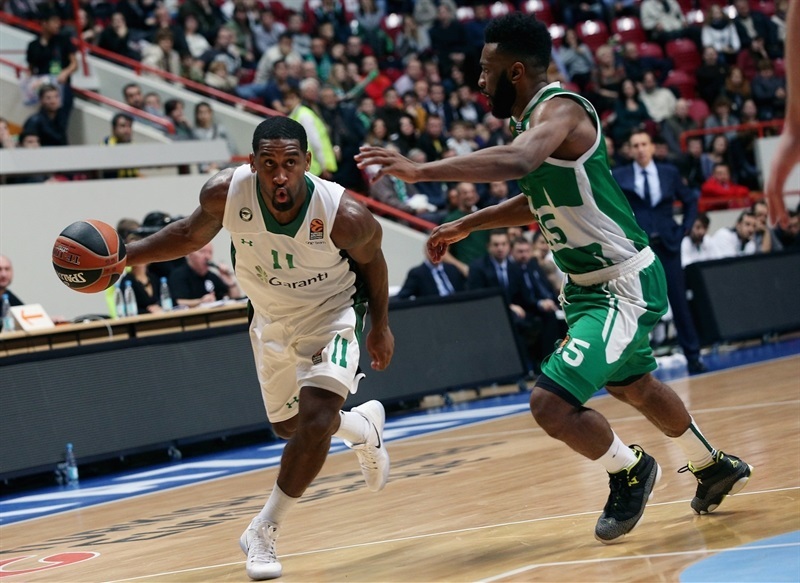 Wanamaker rescued Darussafaka with a three-pointer and a mid-range jumper which Wilbekin followed with a four-point play for a 17-11 deficit. 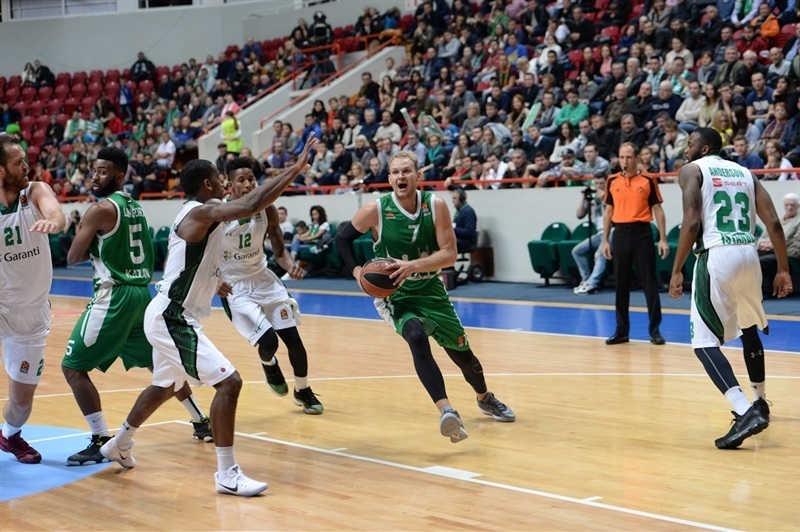 Langford dunked and an unstoppable Ponkrashov kept Unics way ahead, 26-18. 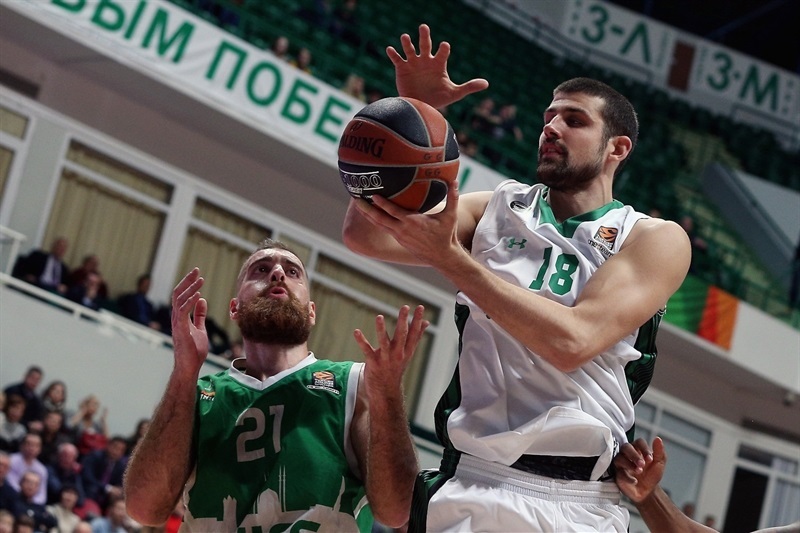 Savas and Batuk helped Darussafaka tie the game, 28-28, but a free throw by Pavel Antipov restored a 29-28 Unics lead after 10 minutes. A jumper by Wanamaker get Darussafaka its first lead, 29-30, early in the second quarter. Langford took over with consecutive baskets but three-pointers by Batuk and Anderson tied it at 38-38. 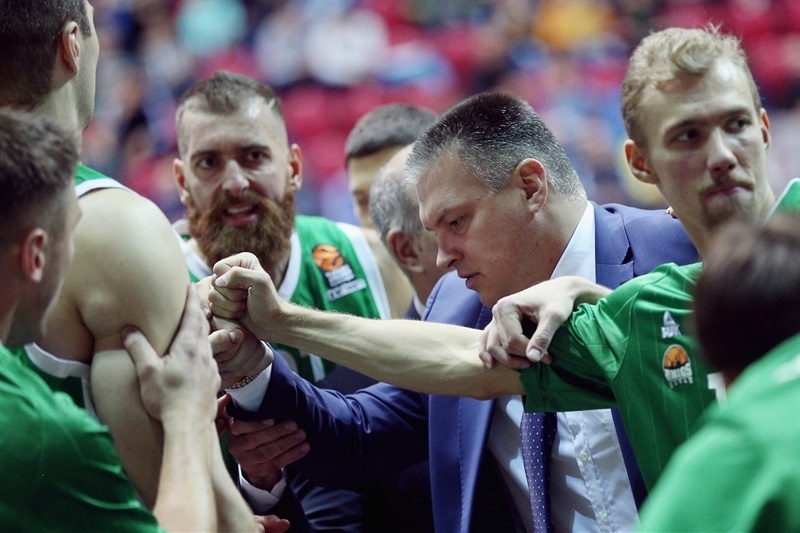 An outstanding Parakhouski allowed Unics to get a 47-46 edge at halftime. Langford sank another triple soon after the break but he didn't find much help around. Meanwhile, Dairis Bertans and Anderson put Darussafaka back in charge, 52-55. Colom stepped up for Unics but Wanamaker kept the guests ahead, 59-65, after 30 minutes. Wilbekin scored again and a three-pointer by Batuk made it a double-digit game, 59-70. Batuk and Wilbekin struck from downtown and a layup by Wanamaker broke the game open, 63-78, with 6 minutes left. 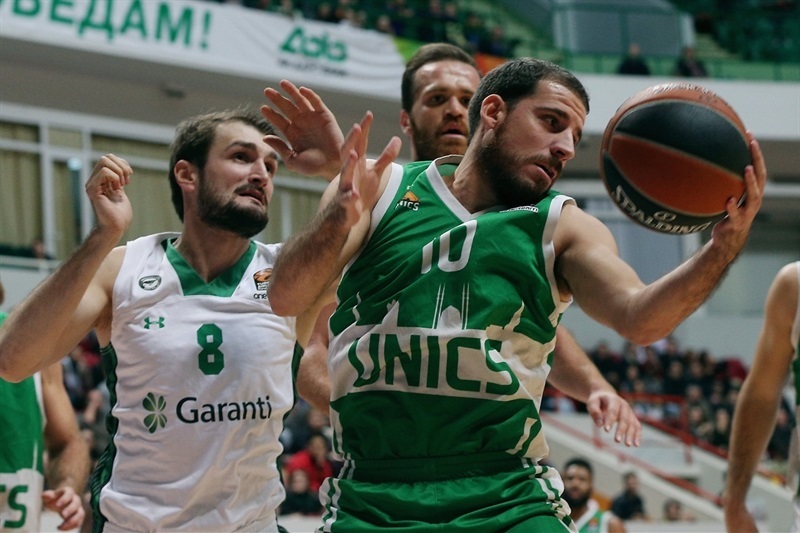 Unics got within 78-84 but it was too little, too late for the hosts. "We controlled the game in the beginning and punished their big guys like Moerman and Aldemir. They changed in the second and third quarter, playing their American big guys and everybody so they are so athletic and so good. They stopped Langford from driving to the basket and it was very difficult for us to score. They started to find easy points in one-on-one situations, especially Wanamaker and Wilbekin. They scored a lot of three and also hit mid-range shots. Team defense is one thing but you have to play with responsability. At least, we have to slow down or stop the player with the ball and after that, our teammates can help. But if I give up, he can score an easy layup or rotate and find an open shot." 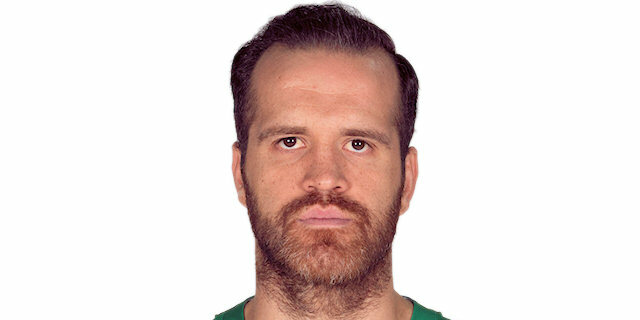 "I am very happy for the win tonight. It was a hard-fought game by both teams. This EuroLeague is so special and so challenging that today's results while important for now, 10 games from now may not mean a whole lot. On the other hand, if you don't win games like this, 10 games from now you may not be in the race. It is a very, very special, exciting and challenging EuroLeague format. My friend and my colleague, European champion associate head coach Evgeny Pashutin is a fine coach and does a great job here. I knew We would have an extremely difficult game. I watched Unics lead Barcelona by 14 points with 5 minutes to go in the first game, and be one or two possesions from winning in Bamberg, a tough team in a tough gym. They are a quality team. I am glad we came away with a win. You always take when you see what is wrong with your team, but the fact is that they were really good in the beginning of the game. We know we had to do everything in our power just to get back to the game in the first half. And we did that. I think the the fact that Unics was missing a very important player in their rotation, Coty Clarke, certainly had an effect as the game went along. They missed one more player in their rotation. It is not easy to play a 40-minute game at that pace and miss a player like that." 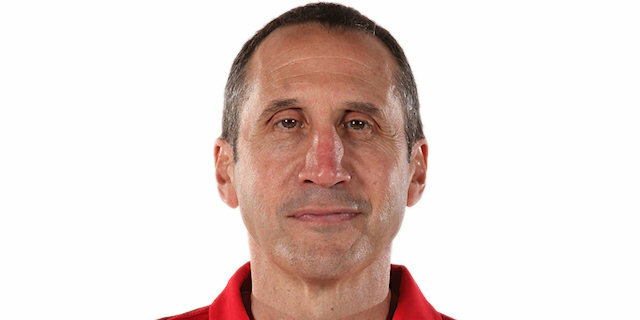 "You have to do a lot of work to win the game when you get outrebounded like that, but credit to my guys for hanging in there and executing very well on the offensive end. The opportunities that we had, we took advantage of -- and we had to, because we certainly didn't win the game on possessions." "I think we started the game really well, moving the ball and defending well but then they started to go score easily in one-on-one situations and punish our mistakes. They hit all the open shots, maybe more than the usually do. 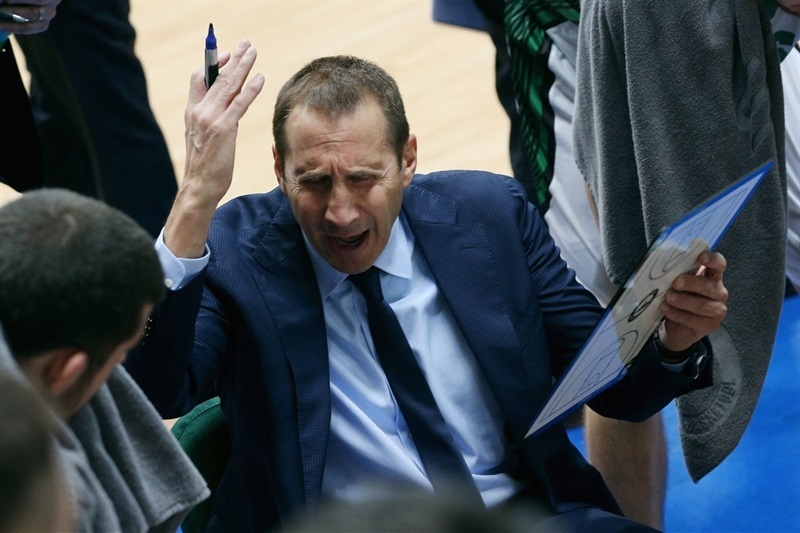 We should have improved our defense to beat any team in the EuroLeague." "We started off very poorly, but we quickly pulled back after falling behind 12-0 in the first 5 minutes. In the second half we controlled the game and in the last period we took the win with authority. This season we have a special quality on the court: We never panic even in the moments we fall behind in the score. We are always pulling back as we bring our toughness. But we have lessons to learn still from those very bad first 5 minutes." "It was a big team effort. We lost a tough one last week to Milan and we just wanted to bounce back. We came out and had a big team effort. Birkan (Batuk) made some big threes for us, but it was a team effort. We like this. We like to play basketball. We are going to head back home and get some rest, and we will be ready for Thursday."